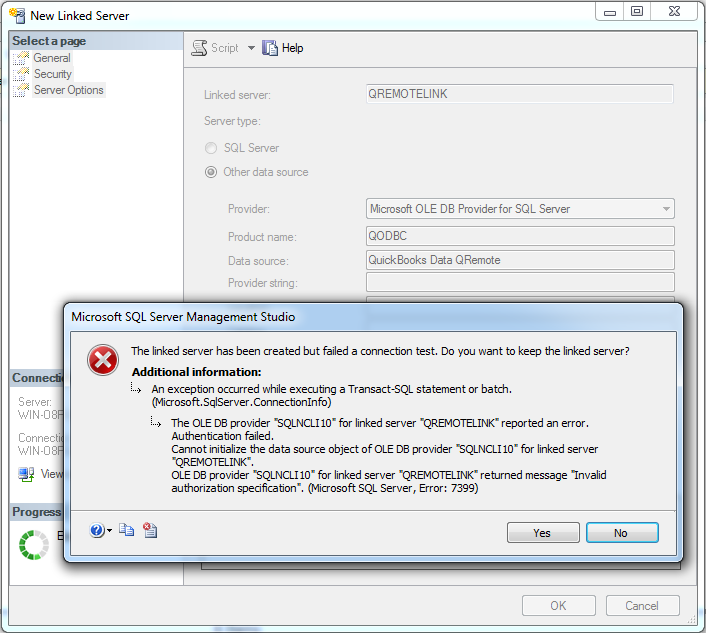 [QODBC-Desktop] Troubleshooting - Getting Error Invalid authorization specification in SQL Server. Troubleshooting - Getting Error Invalid authorization specification in SQL Server. 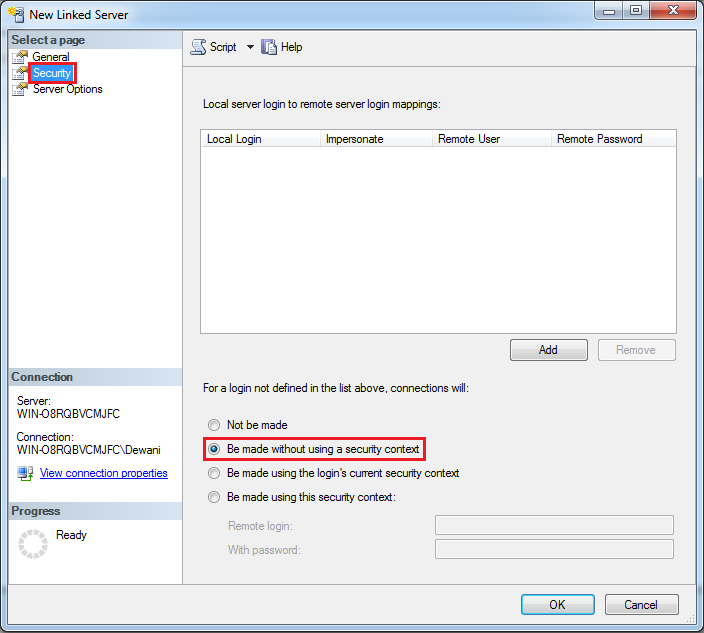 I am trying to create Linked Server on SQL Server. VB DEMO connects successfully to QREMOTE on QuickBooks Server. The OLE DB provider "SQLNCLI10" for linked server "QREMOTELINK" reported an error. Authentication failed. Cannot initialize the data source object of OLE DB provider "SQLNCLI10" for linked server "QREMOTELINK". So, I'm out of ideas. Please tell me how to get rid of this issue. The message “Invalid authorization specification” means that linked server settings to connect to the server are not correct. Please verify below listed linked server property & test again. 1. 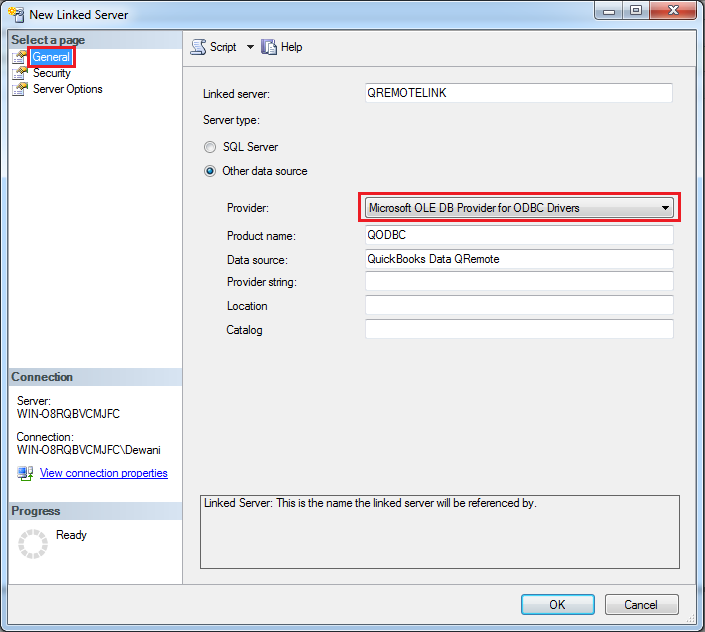 Please make sure that you have selected correct provider Microsoft OLE DB Provider for ODBC Drivers instead of any other providers. 2. In security tab please make sure that you have selected Be made without using a security context option.